After its two implementation phases, the 1st 5GINFIRE Open Call was completed in autumn 2018, with in total 95 eligible proposals were received, requesting more than 7.6 million €, competing for a total available funding of 1.55 million €. A total of 57 proposals for experiments were received, requesting more than 4 million €. Remarkably 29 proposals were received from SMEs, representing more than 50% of the proposers. Two proposals were received from industry, 17 from academia and 9 from research institutes. 10 experiment proposals have been granted. Furthermore, a total of 38 proposals for new infrastructures and functionalities were received, requesting more than 3.5 million €. Also in this category SMEs were very active with 14 proposals. 13 proposals were received from research institutes, 10 from academia, and one from big industries. In total, five proposals for new infrastructures and three for new functionalities have been granted. 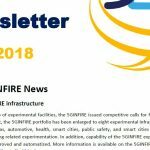 After the first open call, five new infrastructures have been included in 5GINFIRE portfolio of experimental facilities; now consisting of 5G Media Vertical, 5TONIC, eHealth, IT-AV automotive, NITOS, Public Protection and Disaster Relief, Smart internet lab in Bristol, and WINS testbeds, supported by experimenter tools. Available budget: 450,000€, Maximum of 75,000€ funding per accepted proposal, At least three experiments from SMEs will be accepted in this call (if ranked above threshold). Detailed information about the call can be found on the 5GINFIRE project website at www.5ginfire.eu. 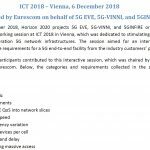 5G network infrastructures and embodied technologies are considered as a key asset of this emerging common environment and instrumental for the digitalization of the traditional industries, so-called vertical industry application sectors. 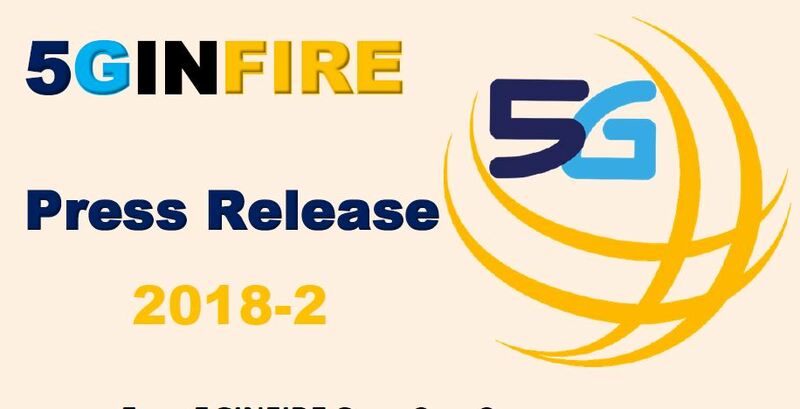 Addressing these key questions, the main 5GINFIRE goal is to build and operate an Open, and Extensible 5G NFV-based Reference (Open5G-NFV) ecosystem of Experimental Facilities that not only integrates existing FIRE facilities with new vertical-specific ones but also lays down the foundations for instantiating fully softwarised architectures of vertical industries and experimenting with them.